I reached a huge milestone recently when my agent sold my supernatural young adult novel, Aftersight. It was a moment for high-fives, champagne, and general celebration, but after all that there was work to do. As the content editing commenced, I began to understand that my story, which previously had only been words on a page, would soon be a book. It would be something tangible, something visual. I’ll admit it, I was nervous about what the cover art would look like. My publisher graciously allowed me to have input on the cover design, an excellent perk, but it was still difficult to imagine what the process would be like. Contrary to my previous assumptions, the cover artist doesn’t actually read the book, relying instead on plot summaries and character profiles to come up with a visual that will sell the story. Would that be enough for her to conjure a compelling cover design? There is a fine line between a truly good cover and something cheesy, or perhaps worse, something flat and lifeless. Every book is different. Ideally, you want an image that will appeal to your readers, but that’s pretty vague, isn’t it? “A good cover tells a story,” New York Times best-selling author Robert Dugoni said at this year’s Pacific Northwest Writers Conference. 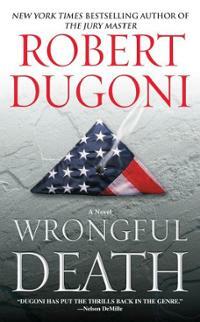 To illustrate the point, he held up the cover of the paperback version of his novel, Wrongful Death. There an American flag folded into a triangle, as if from a soldier’s funeral, rests on a rough stone background. In the center of the flag is a smoking bullet hole. What story does that cover tell? It’s probably something about the military, something about death (if the title didn’t already make that obvious). It’s not just a bullet hole, but a smoking bullet hole. There’s action to come, something yet unresolved. “A good cover asks a question,” literary agent Sally Harding told me. “It’s not about trying to summarize your story or even depicting a key scene.” A good cover is like a door slightly ajar, just enough to give you a glimpse of what lies on the other side, just enough to prompt you to open it and explore the world beyond. Weeks of content editing and line editing had come and gone. I was reviewing the galley pages when the email arrived with the subject line Cover art for Aftersight. Here it was. The Moment had finally arrived. I took a deep breath, double-clicked the email, and was rewarded with a cover image that far surpassed even my best expectations. Did it tell a story? Maybe. Did it ask a question? Most definitely. That was the moment when my novel, which had always been an amorphous blob, an idea, finally became real.